Extremely large optical telescopes, including the Giant Magellan Telescope (GMT), which is due to be built in Chile in 2021, will allow studies of stars and galaxies at the dawn of the universe, and will peer at planets similar to ours around distant stars. The Square Kilometer Array (SKA), which will be constructed in Australia and South Africa over the next several years, will observe the transformation in the young universe that followed the formation of the first generation of stars and test Einstein's theory of relativity. Large-scale surveys of stars and galaxies will help us discover how elements are produced and recycled through galaxies to enrich the universe. The revolutionary sensitivity of the GMT will also be used to understand the properties of ancient stars born at the dawn of the universe. In the coming decade, astronomers will also learn how galaxies evolve across cosmic time through new coordinated Australian-led surveys using the Australian SKA Pathfinder, the Australian Astronomical Observatory and next-generation optical telescopes. On the largest scales, dark matter and dark energy comprise more than 95% of the universe, and yet their nature is still unknown. Australian astronomers will use next-generation optical telescopes to measure the growth of the universe and probe the unknown nature of dark matter and dark energy. The long-anticipated detection of gravitational waves will also open a window into the most extreme environments in the universe. The hope is that gravitational waves generated by the collision of black holes will help us better understand the behavior of matter and gravity at extreme densities. Closer to home, the processes by which interstellar gas is turned into stars and solar systems are core to understanding our very existence. By combining theoretical simulations with observations from the Australia Telescope Compact Array and the GMT, Australian astronomers will discover how stars and planets form. And this far-reaching knowledge will inform new theoretical models to achieve an unprecedented understanding of the universe around us. These are some of the exciting projects highlighted in the latest decadal plan for Australian astronomy, which was launched at Parliament House on Wednesday August 12. Over the past decade, Australian astronomers have achieved a range of major breakthroughs in optical and radio astronomy and in theoretical astrophysics. Australian astronomers have precisely measured the properties of stars, galaxies and of the universe, significantly advancing our understanding of the cosmos. The mass, geometry, and expansion of the universe have been measured to exquisite accuracy using giant surveys of galaxies and exploding stars. Planetary astronomy has undergone a revolution, with the number of planets discovered around other stars now counted in the thousands. 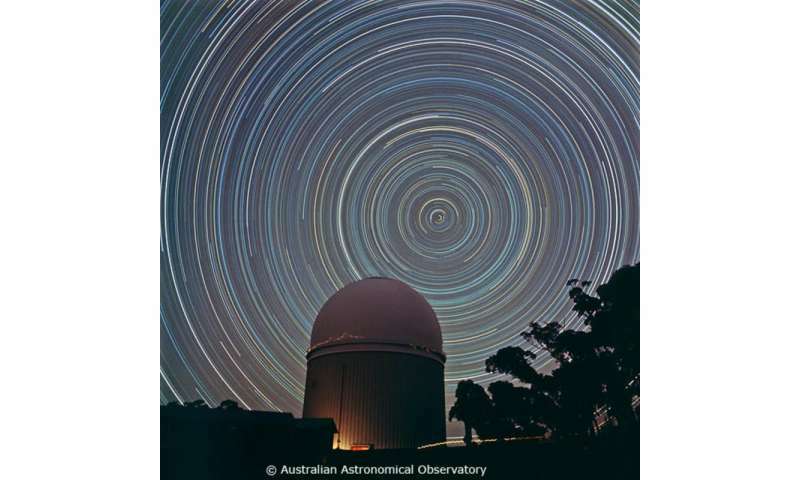 In forming a strategy for the future, Australia in the Era of Global Astronomy assesses these and other scientific successes, as well as the evolution of Australian astronomy including it's broader societal roles. Astronomy is traditionally a vehicle for attracting students into science, technology, engineering and mathematics (STEM). The report also highlights expanding the use of astronomy to help improve the standard of science education in schools through teacher-training programs. Training aimed at improving the "transferrable" skills of graduate and postgraduate astronomy students will also help Australia improve its capacity for innovation. The Australian astronomy community has greatly increased its capacity in training of higher-degree students and early-career researchers. However, Australian astronomy must address the low level of female participation among its workforce, which has remained at 20% over the past decade. The past decade has seen a large rise in Australian scientific impact from international facilities. This move represents a watershed in Australian astronomical history and must be strategically managed to maintain Australia's pre-eminent role as an astronomical nation. The engagement of industry will become increasingly important in the coming decade as the focus of the scientific community moves from Australian-based facilities, which have often been designed and built domestically, towards new global mega-projects such as the Square Kilometre Array. While a decade is an appropriate timescale on which to revisit strategic planning across the community, the vision outlined in the plan looked beyond the past decade, recommending far-reaching investments in multi-decade global projects such as the GMT and the SKA. These recent long-term investments will come to fruition in the coming decade, positioning Australia to continue as a global astronomy leader in the future.